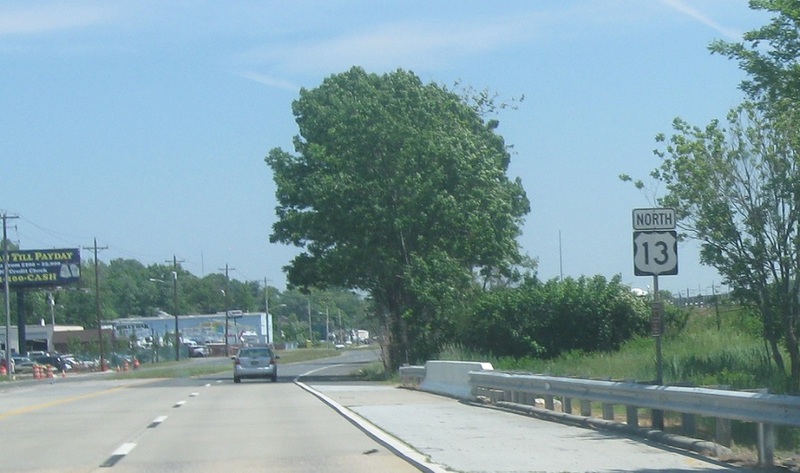 Reassurance shield after the I-495 exit. Reassurance shield about a half mile later. 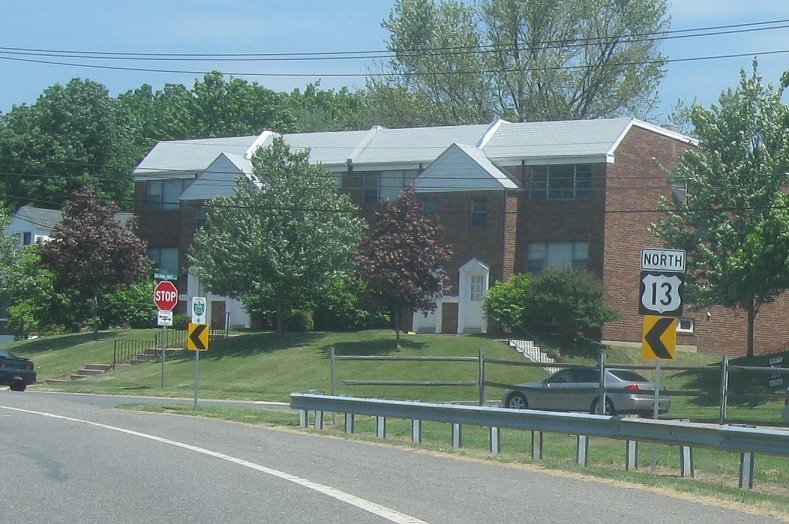 US-13 travels through a fairly undeveloped industrial area, sandwiched next to I-495. 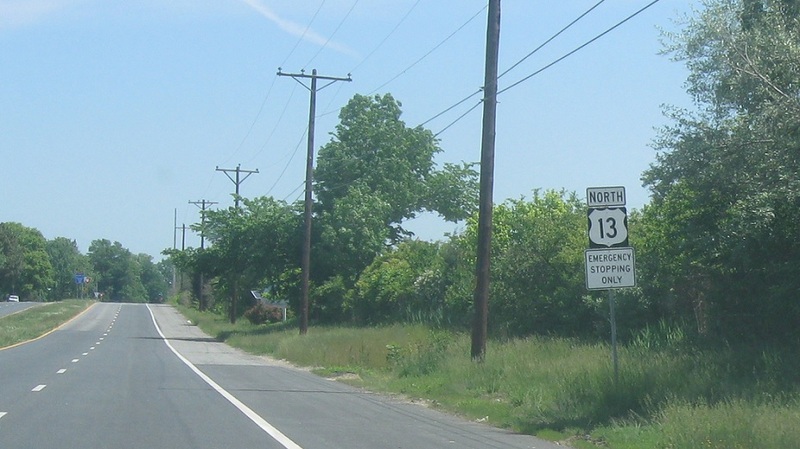 As we enter Claymont, US-13 bears left to reconnect with 13 Business. 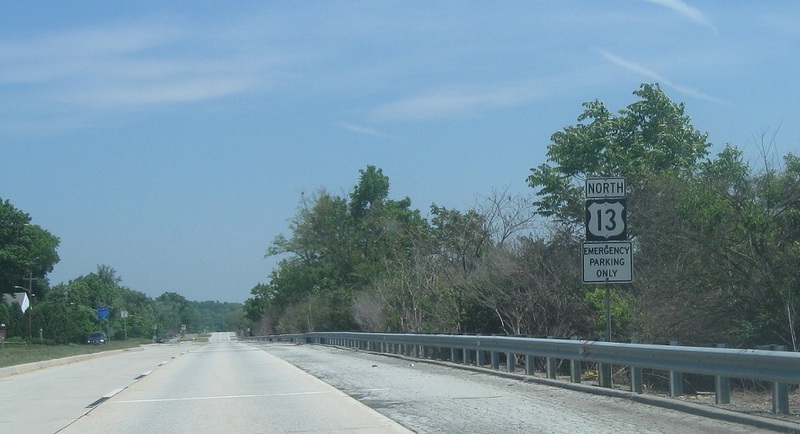 Turn right for US-13 north. 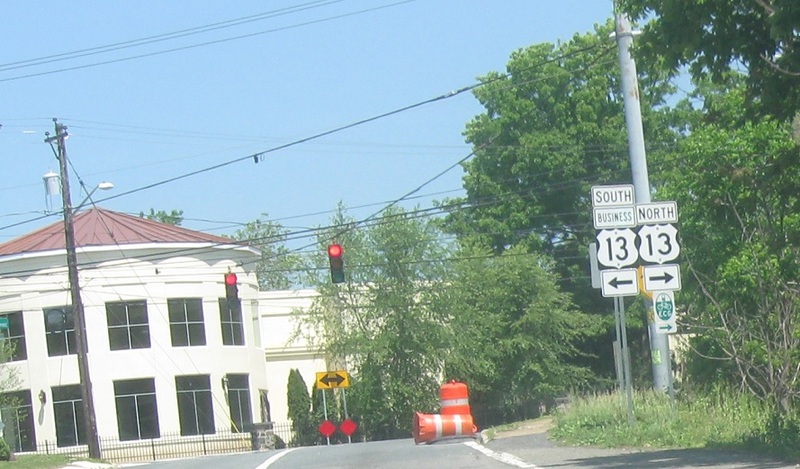 Turn left for 13 Business south.